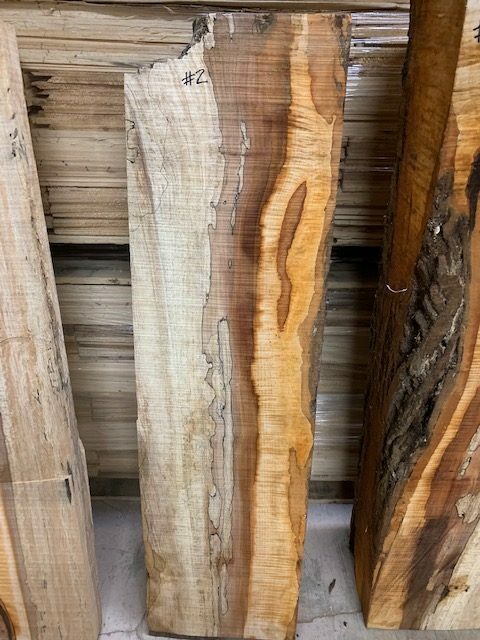 Wood Selection – “The Premier Spalt” - Prestige Guitars Ltd.
It’s that time again, wood selection for our next batch of guitars! In case you weren’t aware of the fact that we hand select each and every top for our guitars, now you know! Why do we go to all this trouble? It’s simple really. We want to ensure that our guitars punch above their weight class in every way imaginable. 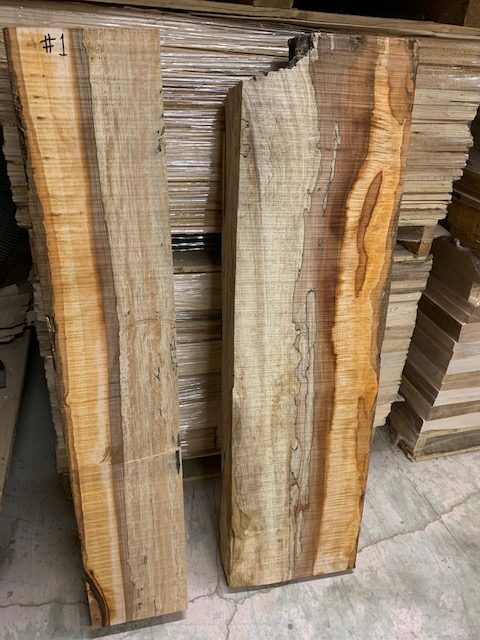 If you want the absolute best tone out of your guitar, then that starts with a ¾” solid carved slab of top notch tonewood for the top of your solid body guitar. 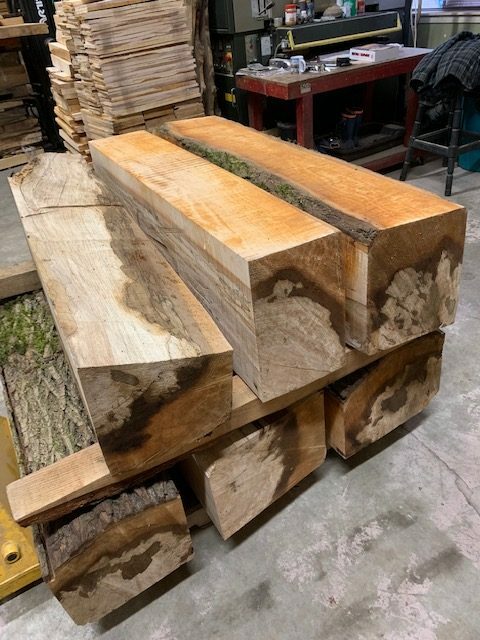 Prestige is located in South Western British Columbia, which is where the best big leaf maple in the world comes from, so why not take advantage of it?! Right?! That’s what we thought too. 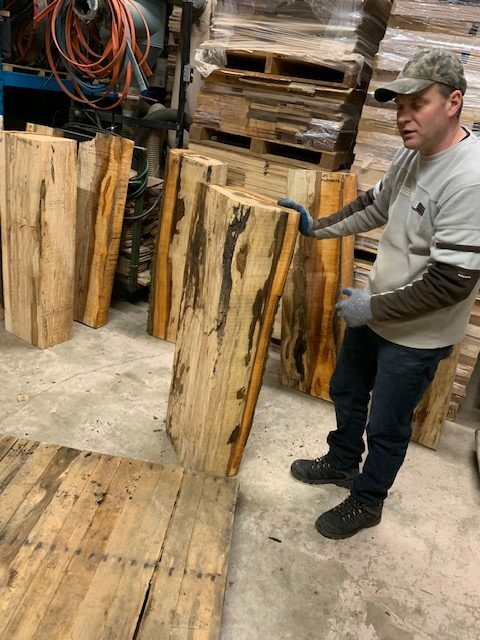 This isn’t limited to just our specialty Maple tops, Walnut and Poplar Burl, but all of our exotic wood tops as well, like Zebrawood and Koa. 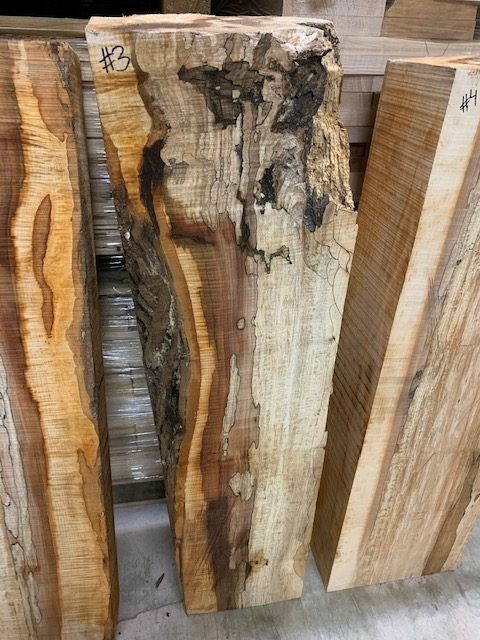 For this “Wood Selection” feature, let’s take a look at Spalted Maple for our Heritage Premier Spalt. 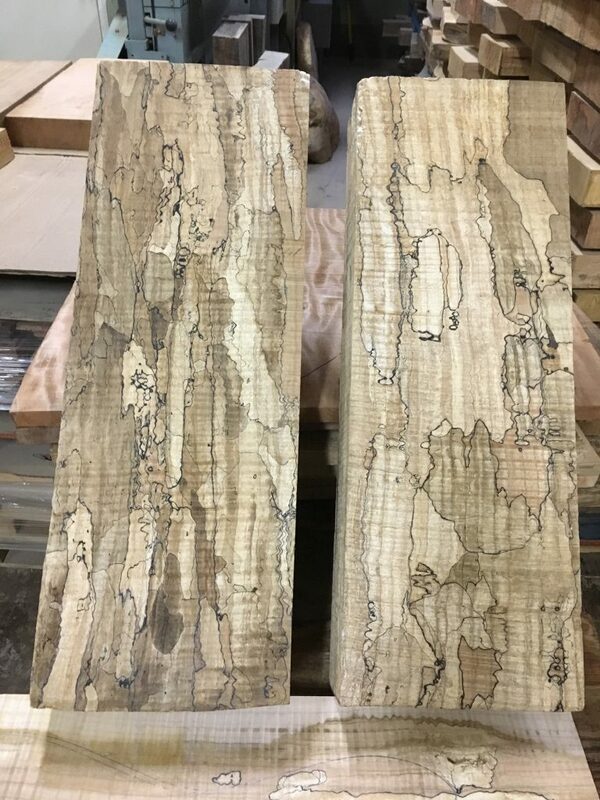 What exactly is Spalted Maple? 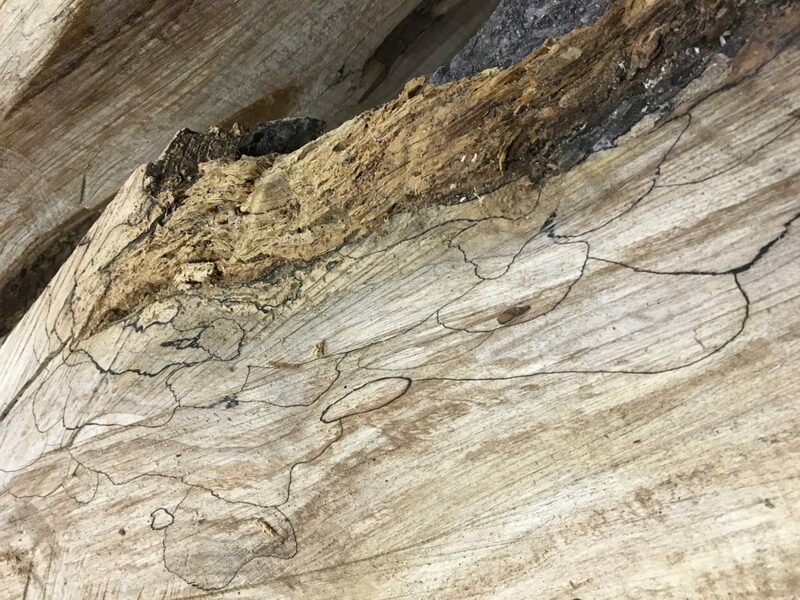 Spalted Maple is big leaf, Western Canadian Maple that has been invaded by fungus, but is in just the earliest stages of said invasion. 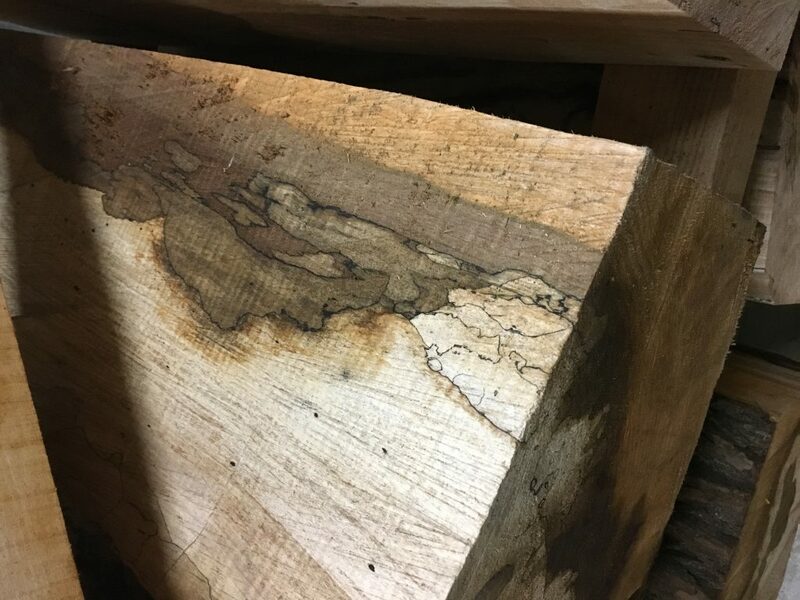 At this early stage, the fungus has little effect on the quality of the wood, but creates beautiful black line patterns and different shades from dark chocolate brown to pink to light natural maple. All of this while retaining the original quilt or flame figuring pattern of the maple. If the fungus has advanced too far, the wood becomes weak and soft and no longer usable for guitar tops. 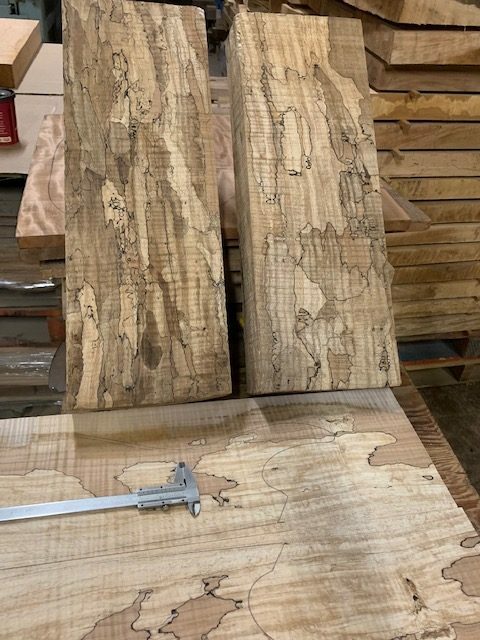 Thus, it is takes a good eye and delicate timing to get Spalted Maple that will create a beautiful, one of a kind, guitar top. 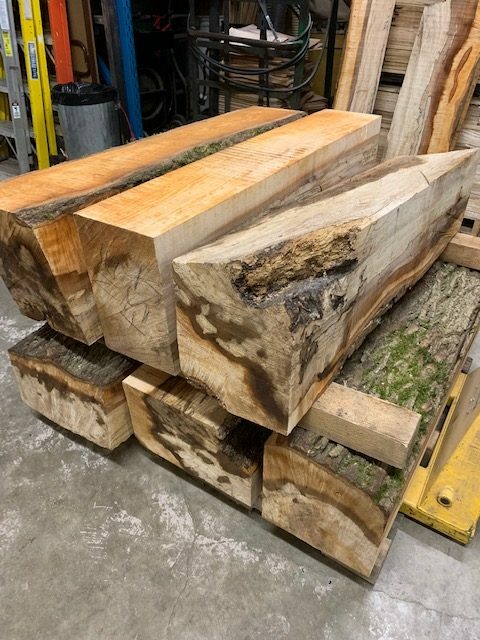 Here is a look at some examples of Spalted Maple. The first photo (A)shows an example of Spalted Maple in block form. Those black lines, stains and figuring on the end of the block are our first hint that this just might be an outstanding piece of wood. 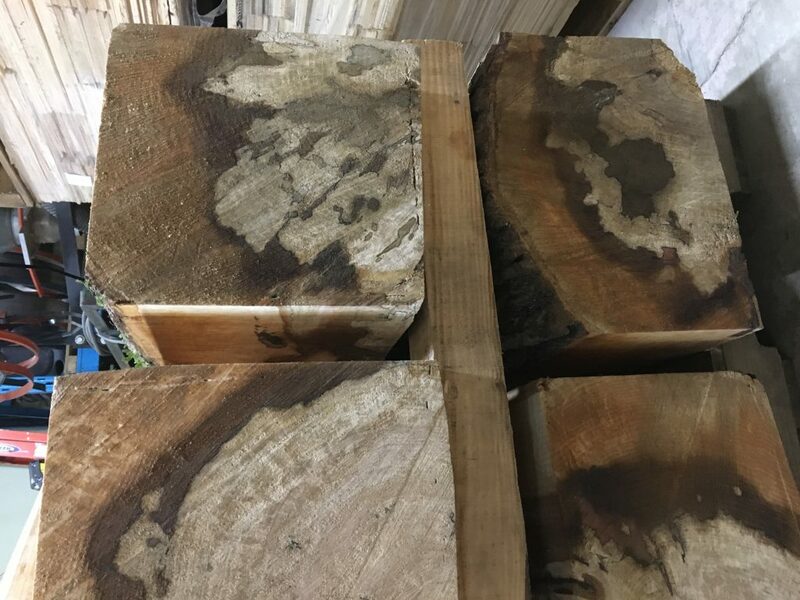 The second photo (B) shows another angle of the Spalted Maple blocks, pre cutting and slicing. The third photo shows a near perfect example of a Spalted Maple top that will go into a Prestige Premier Spalt. This top has amazing figuring, but is still dense and with the tonal characteristics that our guitars need, in order to create that beautiful, bright punchy tone. These two guitars will be completed and on display at NAMM 2019, so drop by the booth and try one out!